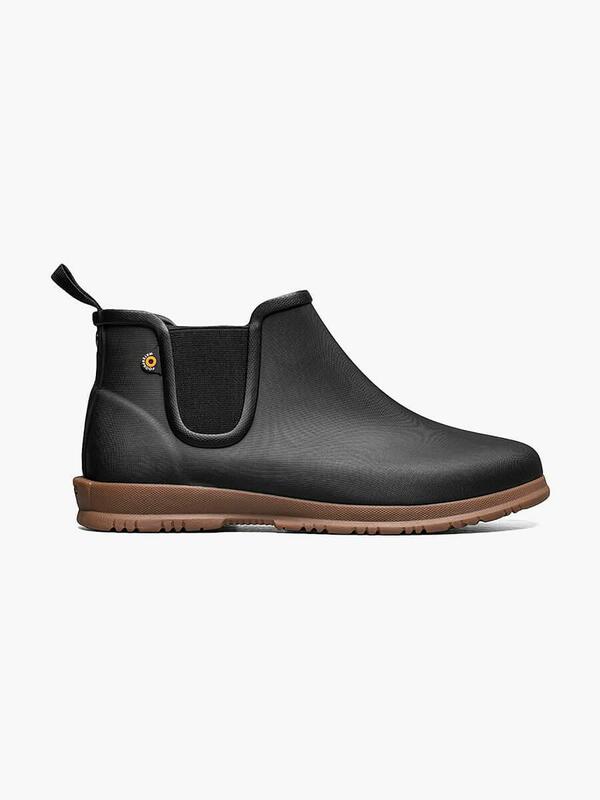 An elegant Chelsea boot that's spring shower-approved. 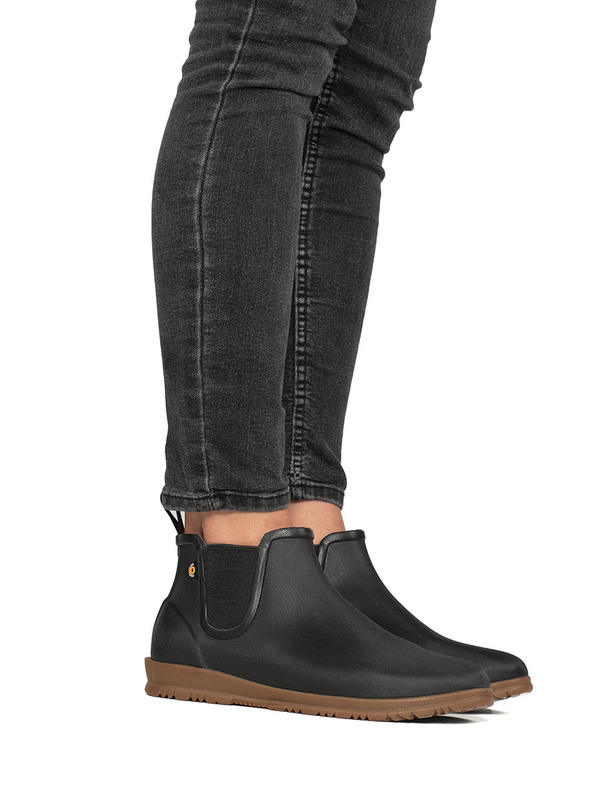 100% waterproof, these women's boots keep the rain where it belongs, away from your toes. They have a sleek look in subtly textured rubber with a comfortable, flexible outsole. Elastic at the sides make them easy to slip on and off.